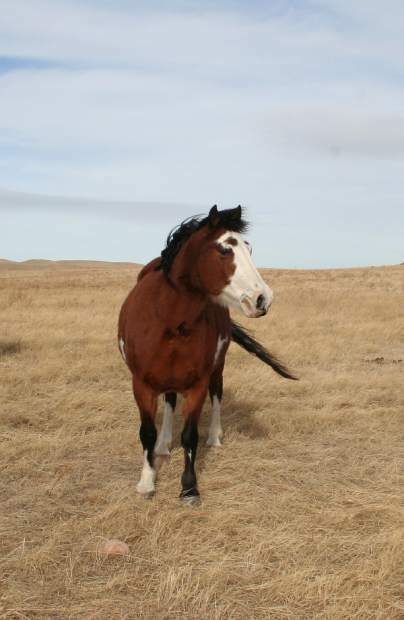 This horse, out on pasture near Sterling, Colo., has adequate body condition going into the winter months. Wet ground from melting snow can be hard on horses hooves, and water must be provided at all times. 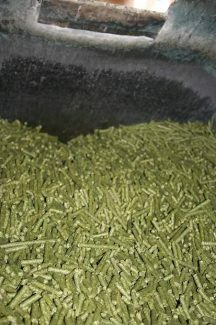 Alfalfa pellets can be mixed with water to increase water intake. 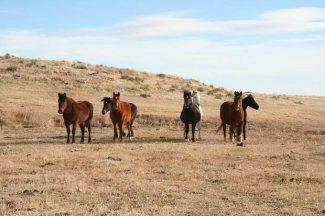 Horses out on pasture need to be checked regularly, and young horses should be placed with older horses to learn what to do. If no water is available, horses will eat snow to get their water. Mares that are due to foal should receive special attention during the winter months to make sure they maintain body condition. Temperatures are falling, winds are colder and winter moisture can cause the ground to be wet. These factors all play into managing a horse's health during the winter. It's easy to think that caring for a horse in the winter is easier, since they are likely not being ridden as often. However, winter is actually a more challenging time to keep a horse healthy. "There are three things you need to provide; well balanced nutrition that is consistent, shelter, and maintaining their health care regiment. You need to be actively involved with making sure you are providing those three things. 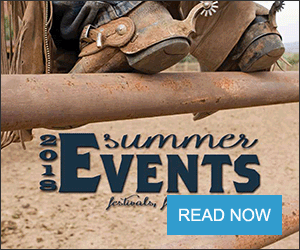 And remember, seek help if you need it," said Bill Scebbi, Executive Director of the Colorado Horse Council. The biggest reason for this is because of energy requirements. All animals must maintain their body temperature to survive, and the colder it is, the more energy a horse needs to maintain that temperature. Horses receive their energy through feed, so this is very important to their health during the winter. The area where the body does not have to produce heat is called the thermal neutral zone. Once temperatures drop below this zone, that is when they will require more energy to produce heat. The lower critical temperature for horses usually falls between 30 and 50 degrees Fahrenheit animals with heavy hair coats and in dry weather. For animals with a summer coat or that is wet, this temperature rises to nearly 60 degrees Fahrenheit. When the temperature falls below this zone, an animal will begin creating internal heat to keep the animal warm. This increases the energy requirements for that horse, in order for that horse to maintain its body condition. Horses generally require between 1.5 and 2 percent of their body weight in feed each day to maintain their condition. This means a horse will eat between 15 and 20 pounds. The hair coat of the animal will play into their energy requirements, as a cold horse will need to intake more energy to produce heat. The key is to make sure they have a good coat of hair. If they have that, they seem to do pretty well," said Dennis Kuehl, Mountain View Belgians in Longmont, Colo. He continued, "You need to be careful when you get a cold, wet storm that lasts for days. That rain will penetrate a horse's coat, and that is the biggest worry. We check them regularly if we have that kind of weather, and provide extra hay. If they are shivering or shaking, we get them out of the weather and give them a chance to dry off and gain that dry coat before we put them out again." Horses with short coats or ones that are clipped should be blanketed. The blanket needs to fit the horse, or it can cause sores. It is best to buy blankets that are waterproof, because a wet blanket will do more harm than good. 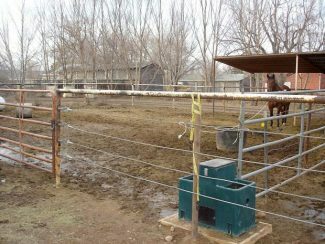 Horses that are kept in stalls in barns need extra care as well. Closed barns lead to poor ventilation, which can lead to respiratory problems. Keeping barn doors open when the weather is better and keeping pens clean every day can help to minimize this risk. The next requirement that changes is water intake. Many times in the winter, horses do not drink as much water. However, they are eating more feed, and this can cause impaction, which causes colic. It is best to keep water above freezing temperature, so that the horses always have water available. This can be done using a tank heater. "Make sure the horses are drinking water regularly so they don't colic. That can be a real issue," he said. If an owner does not have the ability to heat their tank, they should make sure to break the ice on tanks at least twice a day, and remove the ice from the top so that it takes longer to refreeze, and gives the horse a chance to drink. 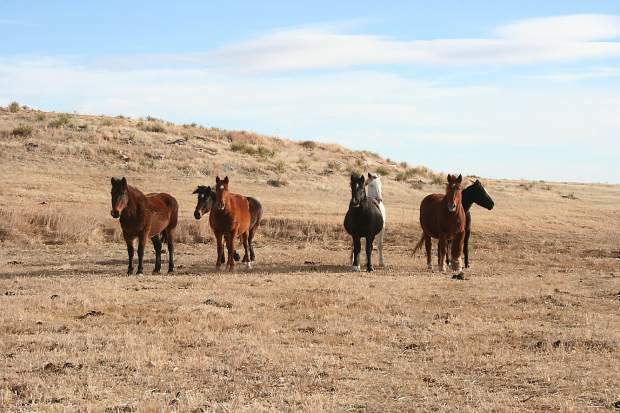 Horses that are out in pasture should also be checked for water availability. If a stream or pond freezes over, an owner may need to break that ice or provide alternative water sources. 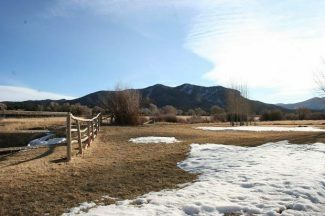 If a horse does not have access to water, they will eat snow to try to meet their water requirements. Another alternative to get a horse to drink more water is to add a little salt to their diet. This can be added to their grain, or dissolved and sprayed on their hay. 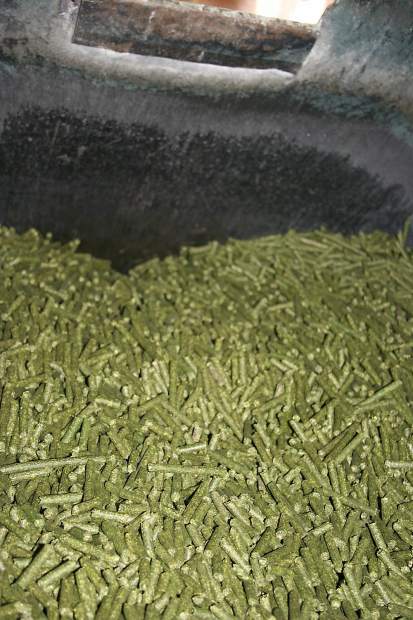 If an owner feeds hay pellets or cubes, water can be added to expand the hay and increase the water content. Beet pulp can also be fed, as it holds around four times its weight in water. 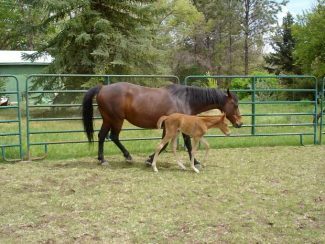 Shelter is the next aspect of horse care that owners need to provide. The shelter should be placed with the open side opposite to the way the wind normally blows, to provide a wind block. 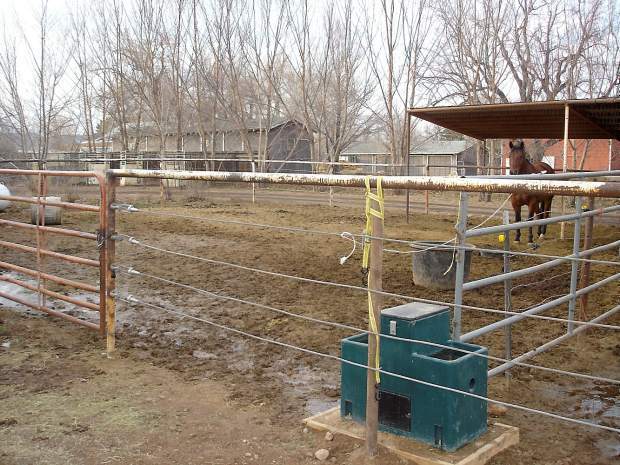 "Unless the weather gets really cold, we don't see our horses using shelters. If they need a windbreak and have one, they will use it. The key is to make sure they have a good coat of hair. 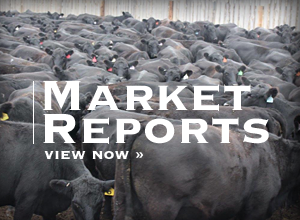 If they have that, they seem to do pretty well," said Kuehl. Hoof care is also important, as improper care cause a horse to slip and injure itself. A horse that is allowed to stay outside should have its shoes removed, because shoes allow for ice and snow to pack in under the hoof, making an uneven surface that is slippery. Shoes can also be slippery on ice or frozen ground. "There is no reason to have shoes on if you aren't using the horses. They need to be barefoot. The snow sticks bad enough when no shoes, and shoes make it that much worse. If they do have shoes on, they need to be taken out of the snow so it doesn't ball up," he said. When the feet are trimmed, farriers should be careful not to trim too closely, or the horse's feet may bruise on hard, icy surfaces. Keeping your horses healthy in the winter may require a little more attention than it does in the summer months. However, meeting their winter requirements is crucial.